Logitech Introduces New G5 Speaker and Keyboard | Nerd Much? Logitech is looking to shakeup the gaming audio landscape with their introduction of their Logitech G560 PC Gaming Speaker featuring Lightsync technology. They’re also rolling out a brand new keyboard design in the G513 which also utilizes Lightsync’s features. The speakers themselves sport pretty robust specifications. The Logitech G560 provides 240 Watts Peak/120 Watts RMS power and 3D audio with DTS:X Ultra 1.0 for in-game positional audio. Logitech states that the speaker’s specs allows for improved accuracy and contribute towards more intensity and realism for your gaming sessions. The real seller though is the speaker’s use of RGB Lightsync lighting. The technology syncs both the light and sound to the game in which you’re playing. The Lightsync covers four lighting zones with 16.8 million variants of colors. The manufacturer has provided a list of developers currently utilizing the Lightsync tech. Among them are some pretty big titles too, including: Battlefield 1, Civilization VI, Counter Strike : Go, Dota 2, Final Fantasy XIV Stormblood, Fortnite, Grand Theft Auto V, Killing Floor 2, Metronomicon, Tom Clancy’s: The Division and Total War: Warhammer II. Logitech is also rolling out a new keyboard in the form of the G513 with Lightsync support. It houses exclusive Romer-G mechanical key switches in the Romer-G Tactile and Romer-G Linear. The Romer-G Tactile offers “soft tactile feedback” while the Romer-G Linear provides a smoother keystroke. 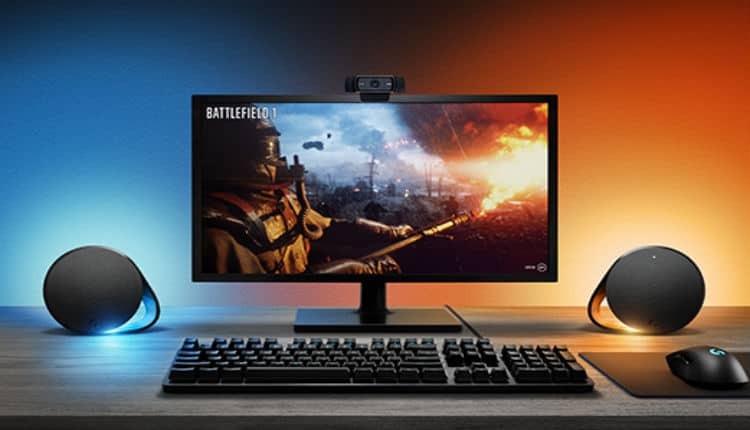 The Logitech G560 PC Gaming Speaker and G513 Mechanical Gaming Keyboard are expected to hit the market globally next month. The speakers will list at $199.99 while the keyboard will be $149.99. You can find out more on the PC Speaker here, and the Gaming Keyboard here.